A partnership has been made between PasswordBox and Bionym to devise new systems for users who own a Nymi bracelet. Users will soon be able to authenticate information on personal devices, have access to the website, as well as apps. PasswordBox says that after a user’s identity is verified, they will have automatic access to lock and unlock their accounts. They will also be able to sign in and out of their accounts. Bionym’s president, Andrew D’Souza says that both companies share a common vision. D’Souza feels that securing sensitive user information peacefully and without friction will satisfy customers while putting them at ease. Nymi’s technology allows for a person’s heartbeat to gain access to their accounts. The new partnership will add a lifetime subscription of PasswordBox to all Nymi users. 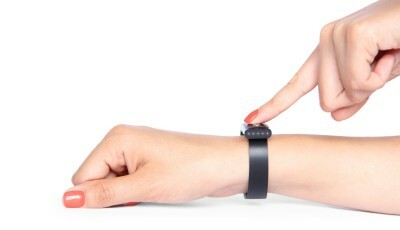 The Nymi bracelet will release later in 2014, and will support desktops and mobile phones from day one. Bionym adds that the Nymi will launch with a bitcoin wallet app. Nymi wristbands contain an electrocardiogram sensor, which recognizes a person’s specific heartbeat. If someone else were to wear the band, the device would lock them out. Bitcoin funds can be stored on a Nymi device, and can keep out unwanted criminals since the specific rhythm of a user’s heartbeat has to be present. D’Souza and his company hope to work with hotels and airlines to offer faster and hassle-free check-in experiences. For bitcoin news, stay tuned to CoinReport.